This large mirror is both unique and nostalgic. 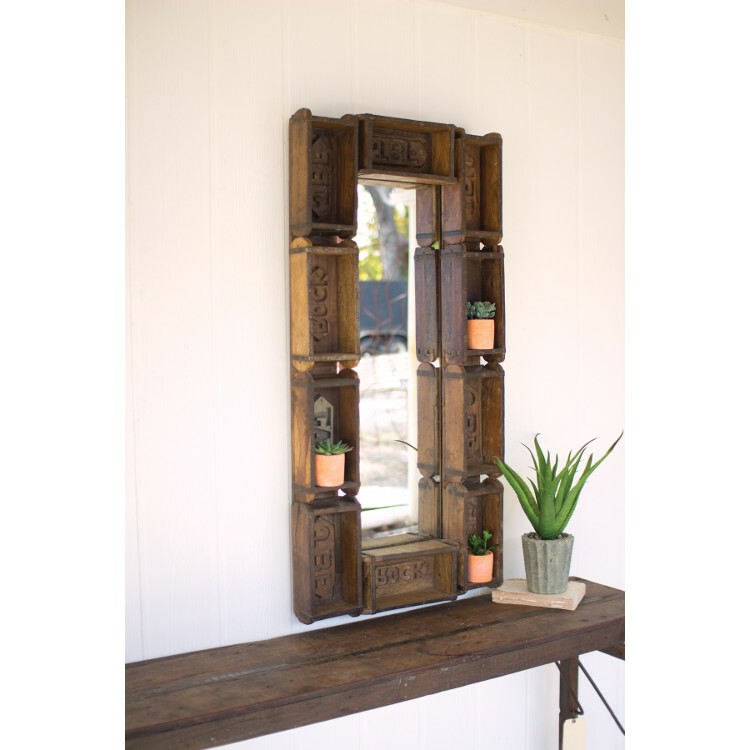 The frame of this mirror is made from aged brick molds, which not only are rustic but can be used to display and store items as well. This rectangle mirror makes a statement in any room.